SpeeCo's 15 Ton log splitter is equipped with a 6.5 H.P. OHV or Honda GC 190 engine to deliver maximum splitting force. 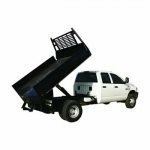 Pierce 5 ton dump kit designed for installation on 1 ton flat bed trucks. 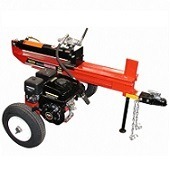 This hoist kit fits flat bed lengths up to 12'. 2-WHEEL CART-STYLE DESIGN. Heavy Duty portable power unit for use with portable hydraulic tools & equipment. Our most compact unit. Northern Hydraulics has been in business since 1963 and offers the finest original and custom components as well as expert repair of hydraulic components and systems. In the Great Falls, MT area we provide all your hydraulic repair needs on equipment such as hydraulic pumps, motors, valves, or cylinders. We offer parts from over 60 manufacturers, as well as repair services and custom build orders. Be assured that we offer a Limited Parts and Labor Warranty after your problem has been solved. We are located in the heart of Montana serving the states Big Sky Hydraulic needs, just on the northern edge of Great Falls, MT. In business since 1963, we have been in this location for the past 12 years. Our facilities offer the finest in machine and repair of hydraulic components and systems. We are your source for all of your hydraulic repair needs in Great Falls, MT! Feel free to give us a call, we will be happy to help fill your hydraulic needs.